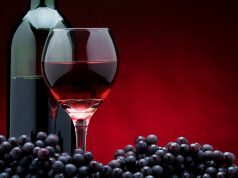 While it may seem that Wine making in India is only just picking up, some say that Wine has been made in India for many thousands of years, in fact believe it or not close to 5,000 years according to some Vedic scriptures. However, India does not produce nearly enough quantity nor quality of wine as compared to other wine producing countries like France, Italy, Australia, Spain, America..etc. to be even noticed until recently. With over 123,000 acres of vineyards across Indian, only one per cent of them are used for wine. Well this figure seems likely to increase as Indian wines and Wine Brands are asserting themselves like never before. 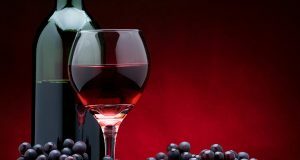 More people are drinking Indian wines, more restaurants are serving them, more wineries are entering the market and gaining an entry into the list of the good wine brands in the foreign markets…the Wine Culture has finally hit India! Indage also known as Chateau Indage, based in Narayangaon – on the Pune-Nashik Road, are one of the pioneers of authentic wine in India. They are India’s largest wine brand both by volume and valuation. The Company now known as Indage Vintners was set up in 1982 as a 100% export oriented unit and called Champagne Vineyards and later as Champagne India. Today Indage Vintners produces and sells an exquisite variety of Red, White and Sparkling Wines domestically as well as internationally under 32 different labels. Their Vineyards spread across 2500 hectors of land cultivate over 20 varieties of grapes. They are processed at their very own production facility capable of over 15 million liters and bottling 15,000 bottles of wine per hour , which makes it India’s largest wine production facility. Indage launched ‘Marquise de Pompadour’ brand as it’s flagship product in 1986, while the famous ‘Chantilli’ came out in the year 1989. 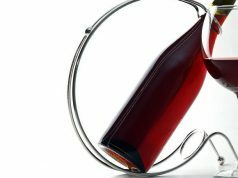 The wine brand was the first to make wines that were ‘bottled in India’, though the practice has now been discontinued. Three generations of the Grover family grew this Bangalore-based winery,Grover Vineyards since the year 1989 upto the premier wine brand it is today. In 2001 Grover Vineyards accomplished an extraordinary feat that was once next to impossible, it started selling wine to France! Grover’s Vineyards are situated 40 kilometers towards north of Bangalore in the state of Karnataka called Nandi Hills. In this picturesque location spread over 410 acres are the vineyards, covered with lush grapes, strung from trellises, covering every available space on the soil in the valley. 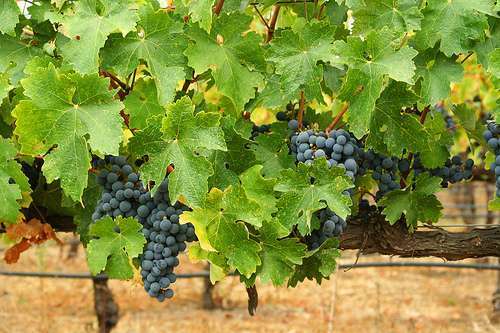 It flourishes with Cabernet Sauvignon, Shiraz, Viognier and Sauvignon Blanc grapes. Famous for it’s Red wines like the La Reserve (a Cabernet Shiraz) which was declared the best new world red wine in the August 1995 issue of Decanter magazine, it also has a collection of well acclaimed White wines as well as Rose wines. Made from blend of Viognier and Clairette grapes, this bright wine is light golden in colour. Complimented by floral notes and hint of honey, it is dominated by fruity aromas, ranging from peach, apricot and passion fruit. The mouth is full, rounded with crisp acidity, and leaves and impression of freshness. 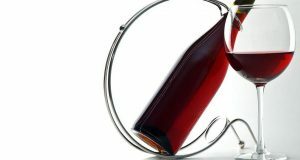 This bright wine is made from Shiraz grapes. Salmon pink with shades of orange, it has a full, fruity aroma. With a body longer than most Roses, this crisp, refreshing wine has been specially crafted to complement India food. Enjoy it on its own as an aperitif. This fine red wine is a blend of Cabernet Sauvignon and Syrah or Shiraz grapes. Aged in french oak barrels, it has a lucious bouquet of fruit and spices with a distinctive oaken flavour. Ready to enjoy immediately. La Réserve only improves with age. Damskey, started a winery on his 30 acre family estate. tours, and the beautiful Tasting Room invites visitors to enjoy their favourite Sula wines amidst spectacular views of the vineyards and surrounding lakes and hills. Sula is also the only Indian wine company to be present in all price and product segments including Red, White, Rose, Sparking and Dessert wines. The Dindori Reserve Shiraz is fragrant, elegant and smooth, with lush berry flavours and silky tannins. This popular favourite is fun and fruity, abounding with aromas of honeysuckle and fresh strawberries. A versatile, “anytime” wine great for picnics, parties, and hot summer days. This celebratory sparkling wine, made in the true méthode champenoise style, is a creamy, complex nectar that goes down like a dream. A golden nectar with aromas of lemon, pear, honey, and tropical fruit. The perfect close to a delicious meal, but also an elegant aperitif. ND Wines, situated in the suburbs of Nashik, is the fourth-largest winery in India. However, the winery sells majority of its produce to Sula Wines and only a small portion of the wines are sold under its own label. After enjoying huge success exporting table grapes to various countries all over the world, N D Grapes ventured into the wine industry with N.D Wines. The beautifully landscaped winery is located on the lake side and surrounded by lush green vineyard spread over 700 acres in Nashik , Maharashtra. N. D. Wines is the first winery in India to grow the world famous Cabernet Sauvignon-reserve and Sauvignon Blanc- reserve. They have also mastered the art of growing Shiraz, Cabernet Sauvignon, Chenin Blanc, Sauvignon Blanc the are specially used in making different variety of wines. The wines are the served on the prestigious and luxurious trains “The Deccan Odyssey” promoted by Maharashtra Government and “Palace on Wheels” promoted by the Rajasthan Government. N. D. Syrah has the color of the royal insignia, deep purple. The overpowering nose is a reminder of the warm climate of the area, the strong aroma of bell peppers blends well with soft aroma of cherries and blackcurrants, N.D. Syrah feels velvety to taste with a distinct peppery flavor that lingers in the mouth. This wine is made from Cabernet Sauvignon and comes in a striking deep red color. The nose develops a lilting aroma of bell pepper, cherries and blackcurrants. 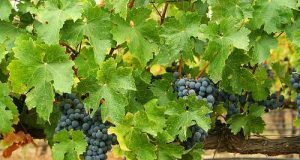 Cabernet Sauvignon tastes like the warm climate of India, melting with the tannin coming from the mature seeds and the after taste lingers in the mouth. This wine comes in a striking green gold color. The nose develops a pleasant aroma of pineapple, banana, guava and the typical aroma of grapefruit. 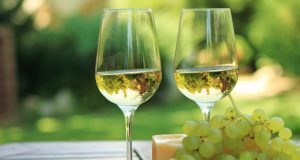 Sauvignon Blanc is tangy, with a rich freshness that leaves behind a lingering citrus and lemon flavor in the mouth. 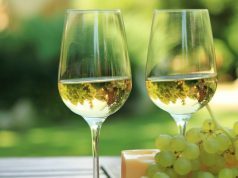 The color of this wine is pale yellow with touches of green. The intense nose develops the pleasant aroma of pineapples, grape fruits and native guavas, besides the flowery aroma of rose. 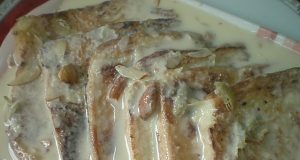 The tangy taste of the N.D. Chenin Blanc tickles the palate and leaves a lasting flavor and aroma of fruit in the mouth. Vintage Wines again near Nashik though small produces some the best wine in India today. Their regular range Chenin Blanc, Syrah, Chardonnay & a Cabernet Sauvignon sold under the Reveilo label have won critical acclaim, and are a ‘must try’. Launched in April 2006, the Company has set-up a 32,000 sq. ft. state of the art winery at Niphad, Nashik, with an annual capacity of 2 lac litres, which could be scaled to 1 mln. bottles. Vintage Wines have a total area of 200 acres of which 100 acres are dedicated for wine variety grapes. 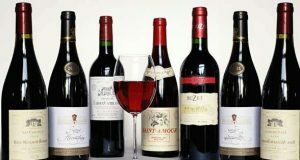 The company recently won awards for four of its wines in the Indian Wine Challenge and are planning to introduce new varieties of wine by 2010. These include Sangiovese, Nero d’avola and Grillo which will be produced from the Italian variety of grapes not grown in India so far. Syrah Reserve has been barrel aged in European oak for 9 months – this imparts an extra smoothness and oaky notes to the wine. The taste is smooth with balanced tannins, and fairly long-lasting. The Late Harvest Chenin Blanc (dessert wine by Vintage Vines) has a lovely golden hue and an underlying aroma reminiscent of honey and scorched almonds. 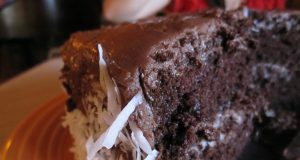 It is mouth-filling, rich and sweet, but has retained enough edge to provide it with perfect balance. Do you mind if I quote a few of your articles as long as I provide credit and sources back to your webpage? My website is in the very same niche as yours and my users would truly benefit from a lot of the information you present here. Please let me know if this alright with you. Many thanks!